Home › Investing › What Is An IRA? Individual Retirement Accounts (IRAs) allow you to grow earnings on invested savings tax-free until your retirement years. But which one should you choose, the traditional IRA that permits tax deductions on contributions or the Roth IRA that has no mandatory withdrawal requirements? Both can be used to supplement retirement savings in addition to what you might be able to squirrel away in an employer-sponsored 401(k) retirement plan. And if you don’t have a 401(k) plan, you should certainly look to set up either a traditional IRA or a Roth IRA account. Which IRA Provider Is Best? A traditional IRA account allows you to shield income from taxes by deferring tax payments until withdrawals are made in retirement years. Contributions are tax-deductible, lowering your taxable income upfront, and allowing you to compound investment earnings until distributions are taken. A traditional IRA lets you shield your income from taxes by providing you with a tax break on account contributions from the get-go. When you put savings into your traditional IRA account, the amount you contribute is tax-deductible, meaning that your taxable income is reduced by the amount you deposit into your IRA account. For example, if an employee earns $100,000 annually and chooses to contribute $5,500, the maximum permitted annual contribution, to a traditional IRA, they will receive a deduction of $5,500 on their taxable income. Instead of the IRS applying taxes to the gross income amount of $100,000, the IRS will tax just $94,500 ($100,000 minus $5,500). The contributions made are invested on a tax-deferred based until your retirement years when distributions are made – at which time the payments made are subject to taxation at ordinary income tax rates. A traditional IRA is subject to IRA withdrawal rules that limit your ability to dip into your nest-egg before age 59.5. Upon reaching that age, you are not obligated to take distributions (until age 70.5 at which time mandatory withdrawals are imposed), but you can do so penalty-free if you wish. A traditional IRA is a good fit for you if you believe your taxes will not be higher when you reach retirement. If you expect your tax rate to increase between now and then, a Roth IRA may be a better choice. The traditional IRA is also a good retirement account choice if you do not have an employer-sponsored plan, such as a 401(k). By contributing to the IRA, you get to enjoy deductions on contributions made, tax-free growth of earnings, and defer tax payments until retirement just as you would with a 401(k) plan. An IRA generally has the added benefit of lower fees and more investment choices than a 401(k) employer-sponsored plan. If you left a job and have money sitting in a 401(k) whose value is suffering from higher fees, consider moving your funds to a self-managed IRA account via a 401(k) to IRA rollover. A Roth IRA allows you to benefit from tax-free growth of earnings on investments. No mandatory withdrawal requirements are imposed by the IRS. However, contributions are not tax-deductible as they are when contributing to a traditional IRA because after-tax dollars are contributed. Just as investment earnings grow tax-free in a traditional IRA, so too do they grow tax-free in a Roth IRA. In this way, a Roth IRA is similar to a traditional IRA, but where the two differ is the tax treatment of contributions. In a Roth IRA, you receive no tax break when contributing to your retirement account, unlike when contributing to a traditional IRA. But don’t give up too soon on the Roth IRA, it is worthy of your consideration in many other ways. A primary benefit of a Roth IRA is that you are not obligated to withdraw funds when you reach a certain age. The IRS imposes no mandatory distribution requirement on a Roth IRA as they do on a traditional IRA. If you wish, you can keep your money fully invested and growing tax-free even after you become eligible to take withdrawals at age 59.5. The reason the IRS is not stringent about mandating withdrawals from a Roth IRA is that they already received tax payments upfront when you first contributed after-tax dollars to your Roth IRA account. However, the government doesn’t get paid until you reach your retirement years when you choose a traditional IRA, and if you haven’t taken a distribution by age 70.5, they will mandate that you do so as a traditional IRA account holder. Another benefit you enjoy as a Roth IRA account holder is that you don’t have to ever take distributions if you don’t want to; you can pass your account on to a beneficiary in time. Plus, if you wish to dip into your Roth IRA, it is easier to do so without incurring tax liabilities because your accessing after-tax dollars, as opposed to withdrawing funds from a traditional IRA that is funded with pre-tax dollars. If you believe your tax rate will be higher in the future than it is now, a Roth IRA makes a good deal of sense. You can lock in a lower tax rate now than you would otherwise have to pay in the future. If you think tax rates will rise in the future, a Roth IRA is also a good choice because the taxes you pay today are lower than what you would otherwise have to pay later. 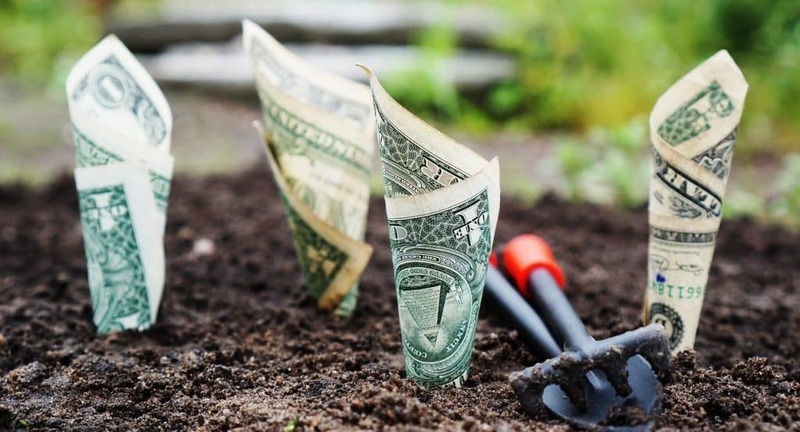 A Roth IRA is advantageous too if you want the option of continuing to grow investments tax-free without the hindrances of mandatory withdrawal requirements, such as those associated with a traditional IRA. The same income limits apply to both traditional and Roth IRA account holders. Individuals earning an adjusted gross income of up to $118,000 are permitted to contribute as much as $5,500 to a traditional IRA or a Roth IRA ($6,500 if over the age of 50). Individuals earning between $118,000 and $132,999 are eligible to contribute a lower amount while adjusted gross income levels above $133,000 render you ineligible to contribute to a traditional IRA or a Roth IRA. Depending on whether you wish to self-manage your retirement nest-egg or prefer a more hands-off approach, you will find an IRA provider to meet your needs; traditional brokers will serve you better if you wish to be more involved while robo-advisors will serve you well if you prefer to be less hands-on. Individuals who wish to be more proactive in managing their retirement accounts should consider a broker who caters to self-directed investors. Schwab and Scottrade lead the pack of best all-round IRA providers. Schwab made its name as a pioneer of low-cost trading that made it easier for retail investors to take control of their retirement accounts. Along with industry-leading research, competitive commissions costs, an easy-to-use platform, and fast and comprehensive customer support, Schwab also caters to active options traders. Having already acquired one of the leading options trading platforms, thinkorswim®, in 2009, TD Ameritrade bolstered its status as one of the best brokers when demonstrating its intent to acquire Scottrade also. For IRA account holders looking for a little extra hand-holding than is available through many of the online brokerage firms, Scottrade is a good fit. Thanks in part to its extensive network of local branch offices, Scottrade can deliver stellar customer support and caters well to both novice and experienced investors. IRA investors who are less keen on taking the reins of managing their retirement accounts may be better served by choosing from a list of the best robo-advisors for IRAs. Betterment is a robo-advisor that relies on computer algorithms to automate retirement investing. As one of the early leaders in the industry, Betterment has quickly accumulated billions of assets under management, rivaling robo-advisor industry goliaths, such as Schwab Intelligent Portfolios. Along with other robo-advisors, Betterment has won market share from traditional financial advisors, who charge substantially larger fees. As Betterment has grown it has added a human dimension, live advisors, to its services offering for account holders with larger balances. Personal Capital began as a hybrid robo-advisor, offering not just an automated investing service, but also access to human financial advisors. Each client is assigned to a dedicated financial advisor and account holders with large balances are assigned two dedicated financial advisors. Personal Capital also offers one of the best mobile apps of any robo-advisor or brokerage firm. If you are looking to track spending, loans, net worth, investment performance and other personal finance items, the Personal Capital app is a must-have addition to your list of mobile device apps.